What Languages Are Spoken in Cabo Verde? Cape Verdean Portuguese is the official language of Cabo Verde. The flag of Cabo Verde. Cape Verde is a small island nation situated off the West African coast. For thousands of years, the islands were not inhabited until the arrival of the Portuguese in the 15th century,who established a colony in the islands and proceeded to bring slaves from West Africa to work on local plantations. These early inhabitants inspired the development of the two principal languages in the country, which are Cape Verdean Portuguese and Cape Verdean Creole. Cape Verdean Portuguese is the dialect of European Portuguese used in the island nation of Cape Verde. While the language is not commonly used in informal conversations, it is the official language of the country, as defined by the constitution. 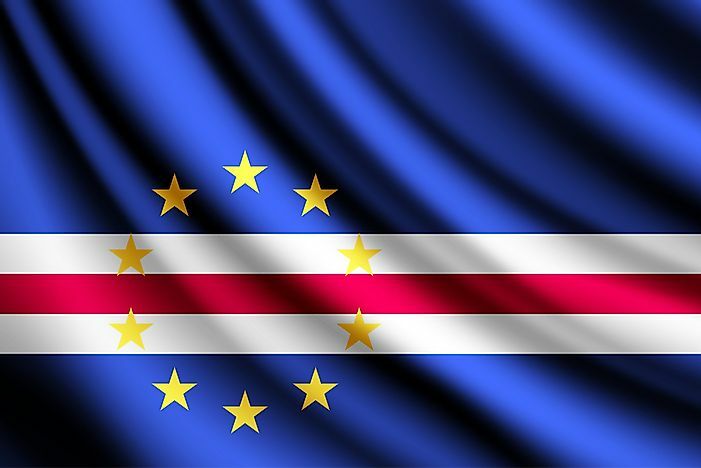 Cape Verde Portuguese is used in all government communication, as well as in the drafting of all official documents including legislation and laws. The language is also commonly used in both print and electronic media. Despite being the official language, Cape Verdean Portuguese is not spoken unvaryingly across the country, as there is no official regulatory body mandated to regulate the use of the language. Cape Verdean Portuguese originated from European Portuguese, as the first inhabitants of the islands were from Portugal. The two languages also share numerous linguistic characteristics as a testament to their intertwined identities, but also have few differences that set them apart, which are evident in their phonetics, syntax, and morphology. For instance, in European Portuguese, there are several ways to address an individual in the second-person, while Cape Verdean Portuguese has only two ways to address a person in the second-person. Cape Verde officially became a Portuguese colony in 1462, and soon afterward the colonial government established Portuguese as the country's official language. The Cape Verdean Portuguese standardization instruments, such as dictionaries and school manuals, are based on European Portuguese standards. Cape Verdean Creole is the dominant language in Cape Verde, with almost all Cape Verde residents having knowledge of the language. The majority of Cape Verde diaspora citizens also use the language as their second language. Cape Verdean Creole is one of many Portuguese-based creoles in the world, and is the creole language with the highest number of native speakers in the world. Cape Verdean Creole is also the oldest existing creole in the world, with the language being estimated to have over 1.2 million native speakers in the island nation. The language does not have an official designation, but is locally referred to as “creole” in the country. The exact origin of Cape Verdean Creole is not entirely known, but linguists believe the language originated from African slaves residing in the islands, who took the European Portuguese language and incorporated the grammar of their native West African languages (which included Fulani, Wolof, Mandingo, Balanta, and Temne) into the Portuguese lexicon. In its written format, Cape Verdean Creole uses the ALUPEC, an acronym for “Alfabeto Unificado an Escrita do Caboverdino” (translated to “Unified Alphabet for Cape Verdean Writing”) writing system, which is formally recognized by the Cape Verde government. Each of the Cape Verde islands has a distinct variant of the language, but linguists categorize them into two geographically-defined branches, which are the Barlavento Creoles and Sotavento Creoles. In recent years, English has gained a significant number of speakers in Cape Verde, the majority of who are foreign workers in the country. English is also used in several tourist establishments in the country, such as hotels and museums. There are few schools in the country which have incorporated English into their curriculum.